Harlem (not to be confused with East Harlem) has always been regarded as a neighborhood rich in African American culture and history. Perhaps its most iconic stamp in time being The Harlem Renaissance during 1920s, which started blossoming movements across music, art and literature. Significant leaders of this flow include Louis Armstrong, Bessie Smith, Duke Ellington, Zora Neale Hurston, and what is most important is that this aura of Harlem still rings true to this day. As diverse a neighborhood as you can get in NYC, Harlem lends itself to sounds, flavors & cultural events that are heavily influenced from places around the world including Africa, The Caribbean & several areas of the South. Groove on up to Harlem by catching the 1, 2, 3, A, B, C or D train uptown. Hop off at 125 St. and let your journey begin. Considering the strong African American heritage present in Harlem, it will come as no surprise that there is a micro-neighborhood dubbed ‘Little Senegal’. It is focused around 116th St. & Lenox Ave in the heart of Harlem and is home to many African immigrants from Senegal, Ghana, Guinea, the Ivory Coast, and more. As you wander you’ll be met with wave after wave of African food, markets and businesses. We’ll dive a little deeper into this below! The Apollo Theater - this world-famous concert hall has launched a number of iconic musical artists’ careers over years. Does the name James Brown ring a bell? Or maybe the Jackson Five? Yup! Although the Apollo originally opened in 1914, it wasn’t until 1932 when Sidney S. Cohen took over that it became a Harlem landmark, putting black performers on stage at a time when African Americans were banned from most theaters across the US. Nowadays, it is best known for its Amateur Night. A night where talented singers, musicians, dancers, rappers, comedians and spoken word artists pit themselves against each other (and the crowd) to be hailed as one of the Apollo greats. Could you be witnessing the next generational talent? The Schomburg Center for Research in Black Culture - curated by Arturo Alfonso Schomburg, a Puerto Rican-born black scholar and bibliophile, is a national research center devoted to gathering and securing documents that reflect the experiences of people of African descent around the world. Since its inception, the Center has been an integral part of the Harlem community and over time has grown to house more than 5 million items such as manuscripts, recorded sound, photographs and prints. If you’re looking for a blast of culture, you can find it all here under one roof. Marcus Garvey Park is a 20-acre park that caters for all ages, with basketball courts, two playgrounds, and an outdoor pool that is a hit when the temperatures start to rise. When it comes to the warmer months, yes you’ve got your pool, but if splashing around isn’t your thing then you can get your ‘off-broadway’ fix by checking out the recently revamped Richard Rodgers Amphitheater that regularly hosts plays and concerts. Sylvia’s is a Harlem landmark that makes customers feel right at home with Southern comfort classics - so much so that even celebrities such as the Diana Ross, Bill Clinton and the late Muhammad Ali have dined here. The food warms the heart as much as it does the stomach. Speaking of which, our soul-food favorites here at SpareRoom are the Southern Fried Chicken with Grits, Sylvia’s Down Home Fried Chicken & Waffle, or if you’re really hungry, Sylvia’s World Famous Bar-B-Que Ribs & Fried Chicken. Can you tell we’re passionate about fried chicken? If you’re still hungry after Sylvia’s (we doubt it), or you’re feeling something sweet then make your way to Levain Bakery. Welcome to pastry heaven! 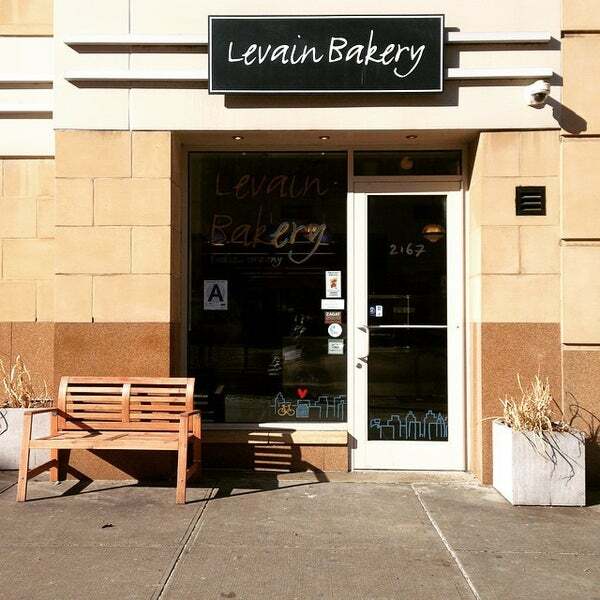 Many attest that Levain whip up the finest cookies in all of NYC, and having tried them, we can definitely say they’re worth the hype. Their chocolate chip walnut cookie is renowned worldwide, combining all that’s good in a soft cookie with an element of crunch from the walnuts. We suggest you go nuts here! Get it? Walnuts - go nuts? If you’re looking to travel back in time to get a real grasp of the Harlem Renaissance then look no further than Minton’s, a swanky jazz club that is loved by both locals and tourists alike. Live jazz is the jam throughout, and when mixed with the southern comfort classics on offer and the elegant décor, you know you’re in for a good night. First date on the cards? Minton’s will win them over, you just have to sit there and smile. Look sharp though, you’ll want to fit in with the classy atmosphere. Keeping in line with the atmosphere of Minton’s, Shrine is a hub of class, with its one-part cocktail lounge, one-part live jam joint. Admire the walls, lined with original album covers, while you’re treated to a range of musical magic from American funk to traditional jazz. When jamming along to the Harlem vibes, we recommend sipping on an Afro Tip - this fruity drink is sure to be a winner for the night - but maybe don’t go too hard, we’re trying to keep it classy after all? Think you could fit in in one of the biggest cultural hubs in NYC? Then come along to our SpeedRoommating events in Manhattan to find your place. 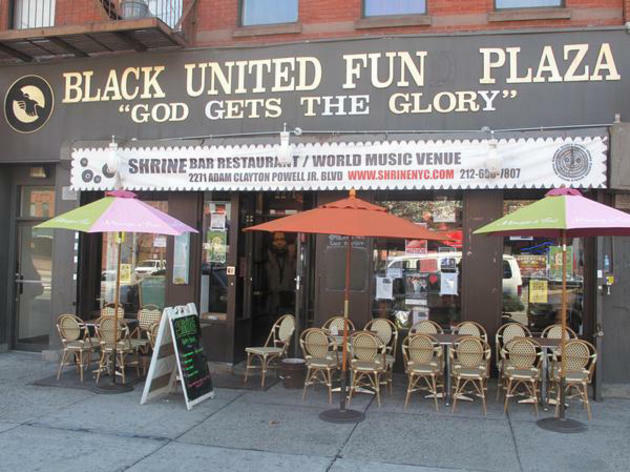 If you’re a Harlemite and proud, let us know some of your favorite things to do in the area!